GE Harmony Dryer Stopped Blowing Air – Bad Blower Motor or Inverter Board? I have the DPGT750EC1PL, 6 yrs old, and it stopped blowing (and therefore, drying). I ran the diags and it said low blower RPM and I poked around on the internet and figured I needed a blower motor. So I replaced that and it worked and we’ve run a few loads thru no problem. Then I get the call today from my wife…. not drying, not blowing. Bummer. Does that mean I need to replace the inverter board? I saw a post from a guy somewhere that replaced the board and still had a problem. How can I be sure what the problem is? Also, this seems to be a pretty common problem with these dryers, based on my casual glance across the internet. Do I have a clunker? I still consider 6 yrs old pretty “new”, or at least I didn’t plan on dryer replacement even being on the radar until the 10 year mark. Not to make this too long, but we’ve had another problem for 1+ year. The drum sometimes doesn’t turn. We give it a spin by hand and close the door real quick and it works. In replacing the blower, I checked the belt and it seems perfectly fine so I don’t suspect a worn belt. I did clean out the cr*p around the dryer support wheels and I’m sure that helped but the problem still persists. 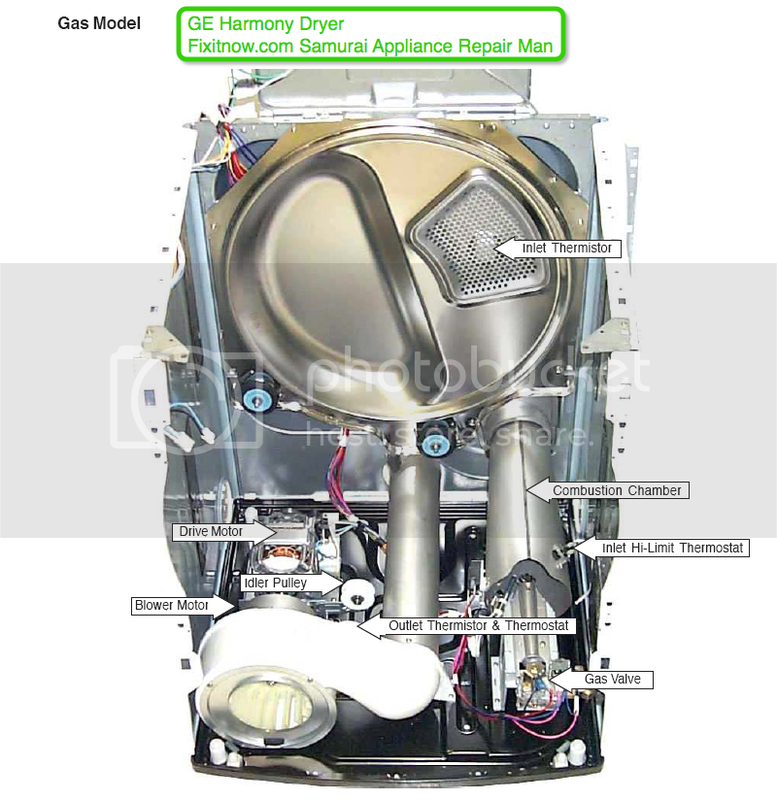 The antithetically-named GE Harmony dryer is a great disrupter of household harmony. They’re more convoluted than most dryers because they use fluky electronics for things like running the blower motor instead having the blower directly coupled to the drive motor. This is one those Frankenstein designs that the GE engineers should have let quietly die on the drawing board. 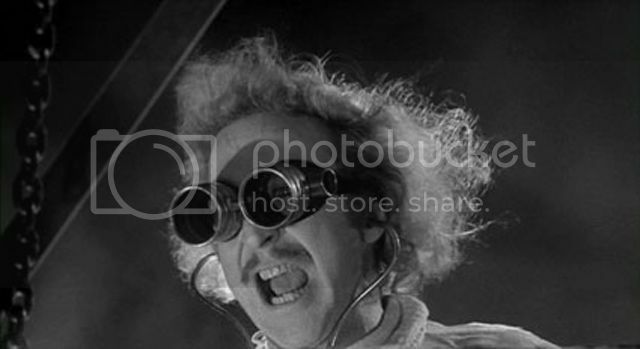 But, to our horror, IT’S ALIVE! 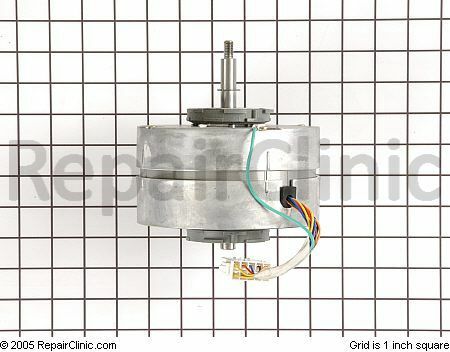 The blower motor is a DC, variable speed motor that operates at different speeds depending on air temperature and venting back pressure. If the blower is running below 1000 rpm, the dryer control turns the heater off. This entry was posted in Dryer Repair on August 4, 2010 by Samurai Appliance Repair Man.